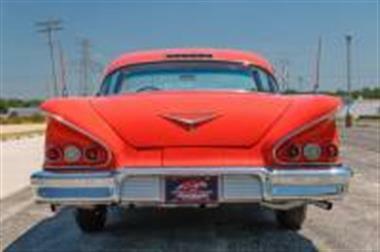 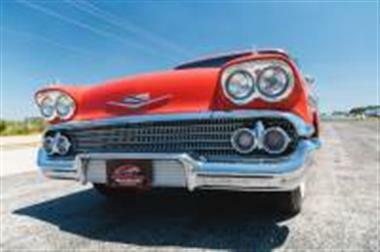 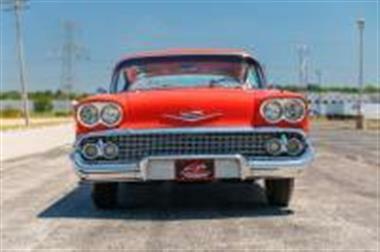 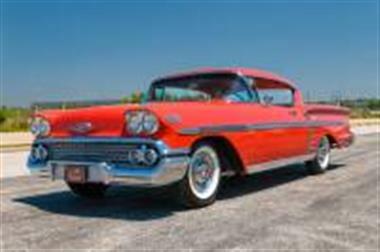 1958 Chevrolet Impala in St Charles, MO for sale. 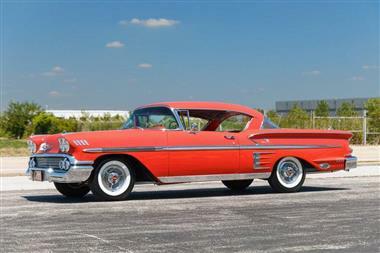 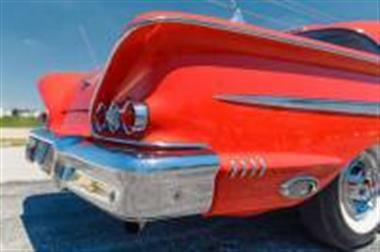 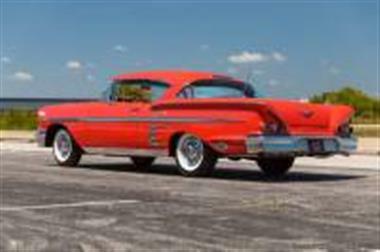 This 1958 Chevrolet Impala has a 348 C.I. 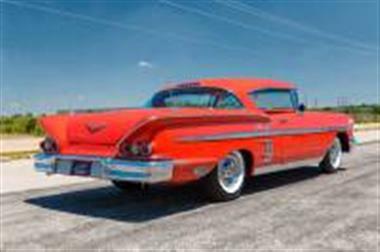 3x2BBL V8 (Date Code Correct)and#44; Automatic Powerglide Transmissionand#44; 3.36:1 Rear End Ratioand#44; Correct Rio Red Exteriorand#44; Correct Red w/ Black andamp; Gray Interiorand#44; Power Steeringand#44; Power Brakesand#44; Comprehensive Restorationand#44; Correct 3751872 348 Blockand#44; AM Radioand#44; Seatbeltsand#44; Detailed Engine Compartment andamp; Undercarriageand#44; Front to Rear Speaker Adjustmentand#44; All New Trim andamp; Brightworkand#44; 14 Steel Wheels w/ Correct Spinner Hubcapsand#44; Wide White Wall Tiresand#44; Dual Antennasand#44; Dual Mirrorsand#44; Very Correct andamp; Thorough Restoration to One of the Most Iconic Impalas Ever Produced!